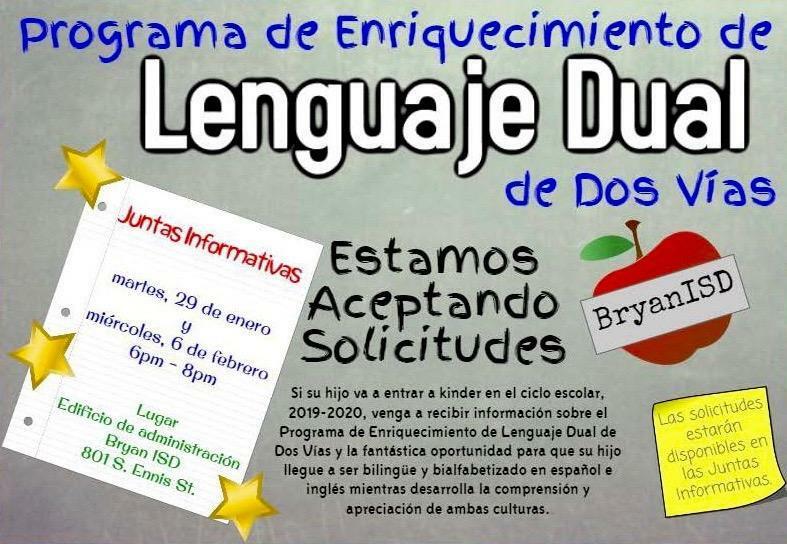 The two-way dual language program is a model of bilingual education that strives to maintain the native language of the student who is acquiring a second language. The goal of the program is to develop full biliteracy and bilingualism while fostering cross-cultural awareness. It is designed to develop proficiency in listening, speaking, reading and writing in both English and Spanish. 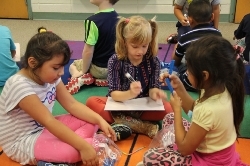 Students receive instruction in both languages beginning with a kindergarten cohort through sixth grade. 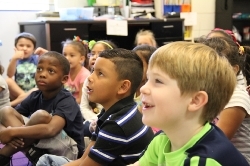 English speakers and English learners are integrated for academic instruction in accordance with the program design and model selected by the school district’s board of trustees. Fifty percent of the students in this program are dominant English speakers and fifty percent of the students are native Spanish speakers. An overall score will be given to each student and those with the highest ranking will be invited to participate in the program. 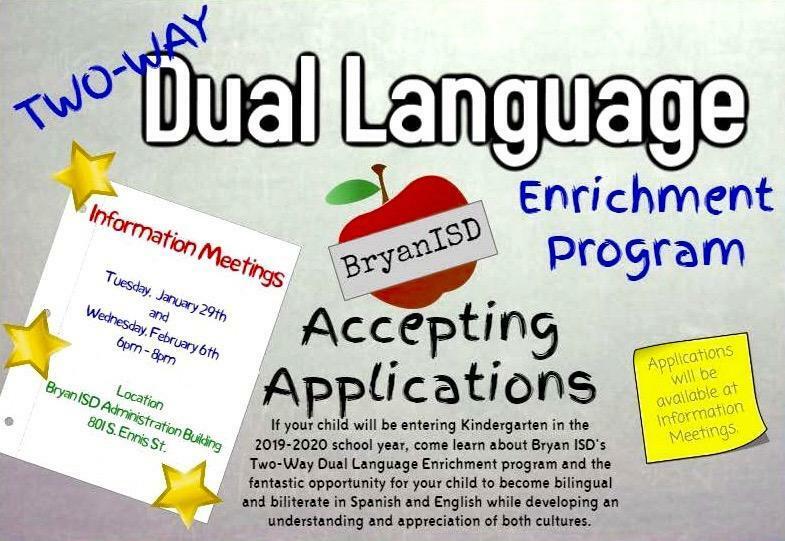 The Two-way Dual Language Programs at Henderson and Johnson require a 6-year commitment (kindergarten through fifth grade).